As a bonus, the hat is reversible. 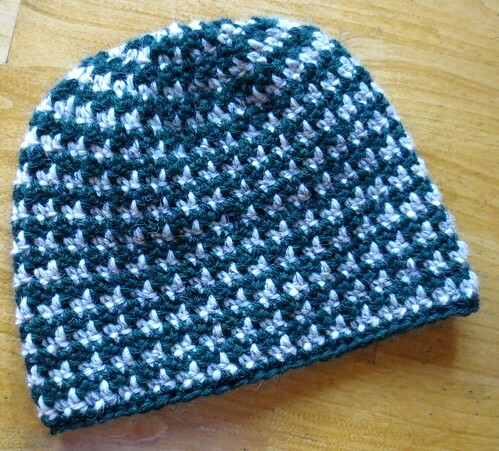 Here is the other hat I crocheted in green and tan wool yarns. Below are two photos showing the two different looks of the same hat. Isn’t it cool how different it looks reversed? 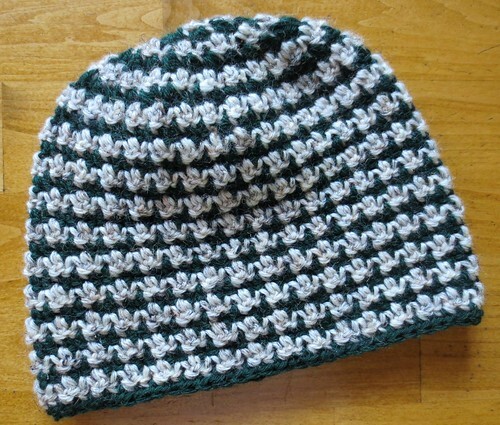 The first hat was crocheted even on 60 stitches for a 20.5 inch cir. 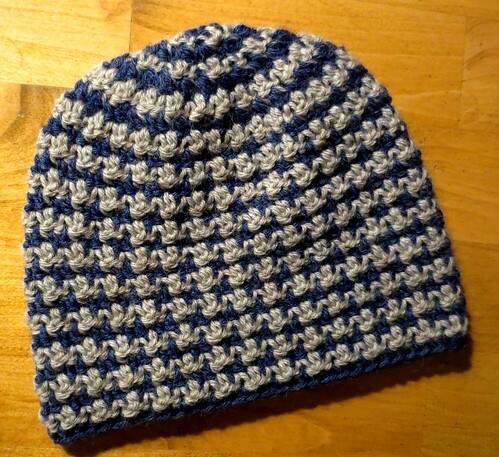 The second hat followed the pattern width with 64 stitches for a 22 inch cir. I crocheted both hats with 4 extra rows to equal 8 inch long hats. Overall I love the pattern and plan to crochet more wool hats in support of the Warmth for Warriors 2018 hat drive using this attractive pattern. really love this post , thank you soo much for sharing this one i really need this . please posting more i love your ideas and your blog.